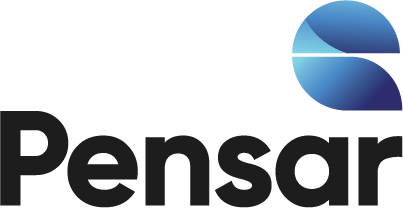 Pensar offers new SUE capabilities - Pensar. The Infrastructure People. Pensar now offers Subsurface Utility Engineering (SUE) services for our clients, a natural extension to our technical infrastructure capabilities and an offering which creates real cost savings. The company recently appointed industry expert, Simon Griffin as Manager – Subsurface Utility Engineering and he brings to Pensar skills in asset detection, mapping of underground utilities, relocation of existing infrastructure, utility coordination and utility asset management broadening the company’s technical capabilities. David Brown, Director (Power) said Simon’s appointment allows the company to add SUE to its skill set – reducing utility conflicts, project delays, unwanted extra project costs and potential utility damage. In Addition, adding SUE to the company’s capabilities means faster turnarounds and more responsive activity; as it’s no longer outsourced. Pensar designs and delivers infrastructure solutions across six business units for projects including urban development, road, rail, airports, water, power, marine and resources. Our broad spectrum of technical capabilities serves the diverse needs of a wide range of clients in the public and private sectors. Simon said that he anticipates growing this area of the company significantly and by streamlining this offering across all of Pensar capabilities he believes that the benefits of offering a larger utility service will be significant. Simon also holds Dial Before You Dig (DBYD), Telstra, Optus and Energex accreditations. Mr Brown said that the combination of Simon’s skills with the broad breadth of experience within Pensar means that the company can deliver true turn-key solutions for all its clients.